How long? Three weeks? Have I really been gone from the Attic for that long? It's all been a bit of a blur to be honest, the usual end-of Summer, start-of-school, pre-Yarndale* rush of activity that leaves me breathless and a little bit bewildered. But despite the complexity of my life during late August/early September, I have been feeling remarkably happy and calm. Schools here in North Yorkshire were later than usual to return after the summer holidays which stretched to almost 8 weeks this year. Today is the start of my first full week back to routine (oh, the joy!) and the Little Peeps are all gently settling back into school life. This is the beginning of my life with three children at three different schools as Little Lady has now started at secondary school (a different one to Little Man). As a result of this fact I feel the need to be uber-organised in order to help them (and me) cope with all that is coming our way each day. We are trying hard to establish some good home routines (homework, bedtimes, morning routines etc. ), I sincerely hope we won't land at Christmas in a stressed-out, jibbering heap. I have really enjoyed the end of the summer holidays here - the weather has been a bit unreliable but there have been snatches of pure beauty in amongst the unseasonal cold/wet stuff. J and I managed to engineer a whole day to ourselves (thank heavens for my fabulous in-laws) so we packed a picnic and went forth to tramp across the hills together. The colours and the light were really lovely on that day, they reminded me of my Harmony colours actually, that beautiful, soft blend of blues, greens and purples. I'm working on a new blanket design for Autumn/Winter. I've been working on the idea in fits and starts since May, and at last after a lot of indecision and mild angst it all seems to be falling into place (yeehaw!). I had the idea for this blanket many years ago, but it's been harder than usual to make the reality match up to the vision. I'm excited to share it with you, need to crochet a bit more of it first as it'll be much easier to show you what I'm planning than to ask your imagination to fill in the missing bits! It's less than two weeks until Yarndale* happens, there is SO much going on, and so much still needing to be done. It's all good though, it's keeping me very busy and I'm enjoying the focus of these intense days of activity. 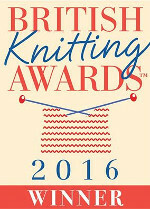 * I am one of the organisers of Yarndale which is an annual creative yarn festival. Oh I'm thrilled - I was just about to ask you to do a blanket in autumn colours; I love the Coast one and was attempting to pull together some autumnal colours but you will do it so much better than I could. Hurrah! Thank you, by the way, for so much inspiration on your blog! I made several people very happy with gthe present I made, inspired by your beautiful DIY's. Ohhh thank you Lucy for the beautiful photos of the heather clad hills. So many happy memories of the Dales and Moors even though I haven't lived there for 25 years. May your progress to Christmas be one of calm routine! PS I have lots of your 'happy flowers'hiding on unexpected walls and door- backs round the house and my 6 granddaughters each have one in their bedrooms too. happiness! Hello Lucy,the photo's are amazing. what a wonderful landscape on your back door. I see the source of your creation in the colors of these hills and skyline. I also like very much the quality and colors from your camera. Can you please share with me what is the camera brand that you are using ? Welcome back Lucy. Love the pictures of North Yorkshire. That is heather blooming isn't it? It's gorgeous. This will be us yarnaholics(hopefully)in time! It does take an awful lot of organization this time of year doesn't it, but I do love the 'back-to-school' feeling. I think the excitement from childhood of starting a new school year in September with new shoes, new pens, new teacher, etc. stays with your forever. I always feel a boost and an energy and an extra excitement about future projects at this time of year. It's good to hear from you again but it's so special to be able to spend the holidays with your family. I'm sure Yarndale will be a super success. Love the Yarndale-banner, it turned out really pretty. Lucy -- I'm so glad that all is well with you and your family -- congratulations on feeling so on top of things! I think we are alike in these struggles with "mom organization." I wrestle with it every day. I love your little fish/needle-keeper that you keep on your scissors. Can you please tell me how to make one? Or send a link to something similar? Oh Lucy I love the little bee! We all should make some kind of Lucy brooch so whoever makes it to Yarndale we are able to recognize each other. That bee is some kind of cute. I am loving the start of the beginning of your afghan. It reminds me of the logcabin style of blankets. Waving wildly to you so you know it is Robin over here in the USA!!! So glad you are back! But also so glad you take a break when you need :-) Wish I was closer so I could go to Yarndale...Texas--UK is not happening yet. One day! Welcome back Lucy. Did miss you but knew you were flat out with yarndale and family life. Impatiently waiting for my harmony blanket yarn, should be here any day now. Can't wait to start it. Going to make it for my daughter who is ill to cuddle up in. Just discovered your site and it was meant to be. Oh your lovely photos have me misty eyed. I've just returned home to New Zealand after reconnecting with my family, who live very close to you, after thirty years. As much as I love NZ there is nothing like the pull of your birthplace. I plan to make your beautiful Harmony blanket and it will interwoven with nostalgia and happy memories. Along with all the rest, good to read tales from the Attic. Yours was my first blog I followed and started me back on the crochet journey. Keep enjoying life!